Designed from a remarkable rubber compound material to provide enhanced resilience, the Head Tournament Squash ball is a yellow dot slow option ensuring proper handling and control over the strokes. The ball is meant for advanced players on a competitive level and it provides significantly longer and higher bounce. The set of twelve balls arrives in a great-looking tube. for submitting product information about Head Tournament Squash Balls - 1 Dozen We aim to answer all questions within 2-3 days. 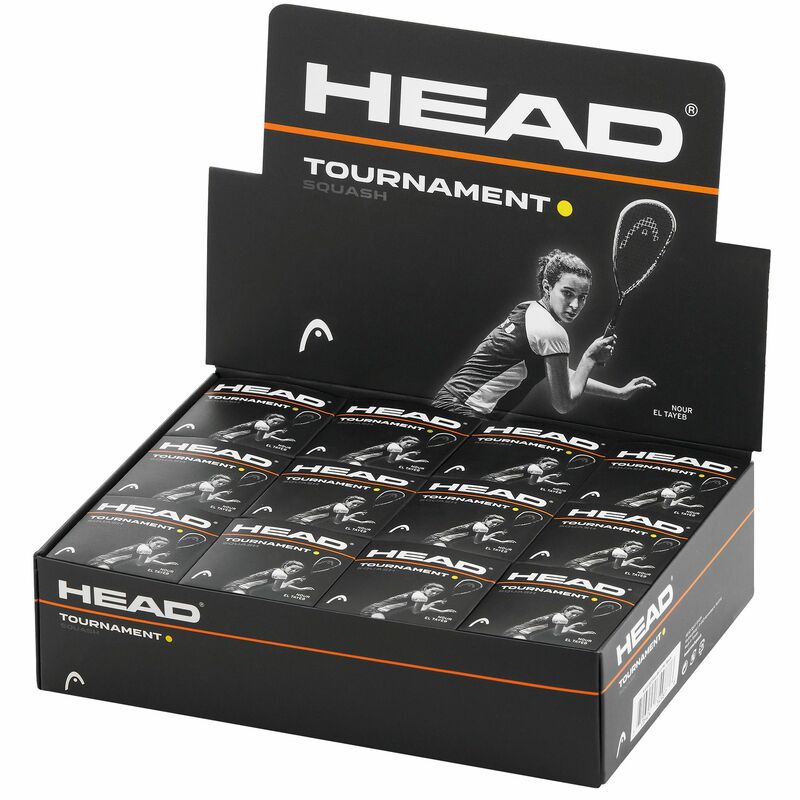 for submitting product information about Head Tournament Squash Balls - 1 Dozen. We aim to answer all questions within 2-3 days. If you provided your name and email address, we will email you as soon as the answer is published. for submitting product review about Head Tournament Squash Balls - 1 Dozen.